Attorney Kristian Rasmussen of Cory Watson Crowder & DeGaris says he supports a move to consolidate all federal lawsuits against Fresenius Medical Care of North America for claims alleging the products GranuFlo and NaturaLyte, caused serious injuries and deaths. The United States Judicial Panel on Multidistrict Litigation has been asked to consolidate the cases in Alabama, Mississippi or Massachusetts. I take this litigation very seriously and have a team of attorneys devoted to prosecuting claims on behalf of the clients my firm represents. Attorney Kristian Rasmussen of Cory Watson Crowder & DeGaris says he supports a move to consolidate all federal lawsuits against Fresenius Medical Care of North America for claims alleging the products GranuFlo and NaturaLyte, caused serious injuries and deaths. Reuters reported on Dec. 13, 2012 that the United States Judicial Panel on Multidistrict Litigation has been asked to consolidate the cases in Alabama, Mississippi or Massachusetts. “I take this litigation very seriously and have a team of attorneys devoted to prosecuting claims on behalf of the clients my firm represents,” said Rasmussen. The lawsuits are filed on behalf of dialysis patients who suffered serious injuries and, in some cases, died during or shortly after dialysis treatment. “We have been contacted by more than a thousand individuals inquiring about potential claims for themselves or loved ones,” said Rasmussen. The New York Times reported on June 14, 2012 that the U.S. Food and Drug Administration (FDA) is investigating whether Fresenius Medical Care (Fresenius) failed to properly inform some kidney dialysis patients of their risk of cardiac arrest. The Times story says the concerns involve the use of Fresenius products GranuFlo® and NaturaLyte® which have been linked to alkalosis, a condition associated with an increase in death and sudden cardiac arrest in patients undergoing dialysis treatment. According to the New York Times story,Fresenius is the leading supplier of kidney dialysis machines and disposable kidney dialysis products and Fresenius operates kidney dialysis centers across the U.S. In addition, The Times reports Fresenius supplies products used in kidney dialysis to dialysis centers operated by other companies. In an internal memo issued by Fresenius on March 29, 2012, the company called for an "urgent product notification" with "important prescribing information" highlighting the increased risk associated with improper use of GranuFlo® and NaturaLyte®. The March 29, 2012 Fresenius memo confirmed that Fresenius was aware “patient safety data confirms that alkalosis is a significant risk factor associated with cardiopulmonary (CP) arrest in the dialysis unit, independent of and additive to the risk of CP arrest associated with pre-dialysis hypokalemia." The New York Times cites a Nov. 4, 2011 internal memo in which Fresenius also indicated that in 2010 alone there were nearly one thousand patients who suffered from cardiac arrest in dialysis clinics operated by Fresenius, an occurrence they said could be linked to bicarbonate levels in the body. Although the memo warning of the danger of improper use of GranuFlo was sent to clinics operated by Fresenius in November 2011, it is believed Fresenius did not first warn hundreds of non-Fresenius clinics which used GranuFlo® and NaturaLyte® of the possible problems tied to these products until months later in March 2012, according to the New York Times story. The New York Times report says the FDA is now investigating whether non-Fresenius clinic patients were put at a greater risk based on the company’s believed withholding of important safety information. Cory Watson Crowder & DeGaris is a Birmingham, Alabama law firm recognized nationally for its practice in complex litigation including multidistrict litigation, class actions, products liability, business and securities litigation, environmental litigation and mass torts litigation of defective medical devices and pharmaceutical drugs. 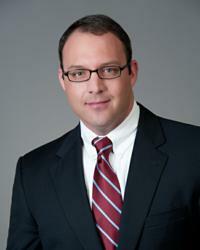 Cory Watson has an extensive practice in consumer litigation, personal injury law and wrongful death cases. Additional information is available at http://www.cwcd.com .